Toyota Avanza re-recorded a new history in the automotive industry of Indonesia. Introduced since the end of 2003, until the end of the first half of 2012, low multi-purpose vehicle (MPV) from Toyota, the sales exceeded 800 thousand units. This figure is increasingly makes Avanza the most successful car in the country. "We are grateful for the accomplishments achieved by Toyota Avanza continues to be number one in its segment. Achievement rate of 800 thousand units is very unusual, "said Johnny Darmawan. Johnny said Toyota Avanza able to succeed because it is committed to improving services; products, services and networks workshops, service, after sales service. "Many of the services provided is that the key to Toyota's success." The first moment comes, the beginning of 2004, Avanza offers only one variant is 1.3 E and G with manual transmission. After that, Toyota continues to make improvements both in terms of appearance and the addition of variants. Toyota Avanza currently has 7 variants with two engine options 1.3 liter and 1.5 liter and two models of automatic and manual transmissions. 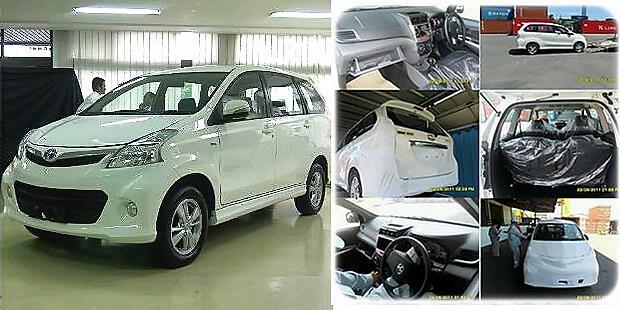 Avanza latest generation - All New Avanza, and All New Avanza Veloz - was launched on 9 November 2011 ago. Each year the car was chosen as Car of the Year Automotive Award 2012, the constantly increasing. In 2010, average sales per month Avanza approximately 11 800 units, which rose to 13,500 units in 2012, and until June 2012 this rara average sales per month Avanza reached 16 500 units. Widyawati Soedigdo, GM Corporate Planning and Public Relations of PT Toyota Astra Motor said it is quite difficult to meet the high demand for Avanza. Toyota's current production capacity of approximately 16 500 units per month. "While demand (order taking) between 20,000 to 21,000 units," said Widyawati.